Whether you’re an experienced angler chasing a trophy fish, or a family looking to have a good time catching fish and making lasting memories we have the patience and skill to make the perfect trip for you. There is more to being a good guide than just finding fish, no-one wants to spend a day with someone they don’t like or is not fun to be around!. Fort Myers Beach is the barrier island that sits in between Estero Bay, San Carlos Bay and the Gulf Of Mexico. It is known for its beautiful beaches and amazing fishing opportunities. It is a relatively small island, as a matter of fact there is actually more water that is part of official Fort Myers Beach than there is land. The entire land amount that makes up the island is only 2.9 square miles and the water is 3.3 square miles! That being said Fort Myers beach is a place that has it all when it comes to fish. 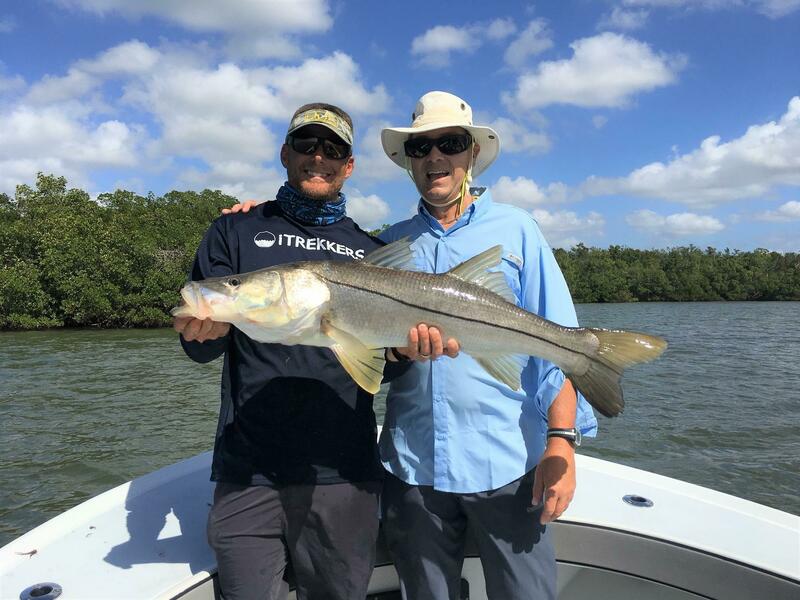 Snook, Trout, Redfish, Tarpon and more! 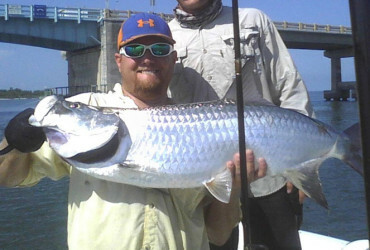 Tarpon fishing can be done just off of Fort Myers Beach when large schools migrate through the area in Spring and early summer. While Redfish and Snook litter the grass flats, oyster beds and mangrove shorelines that make up Fort Myers Beach. 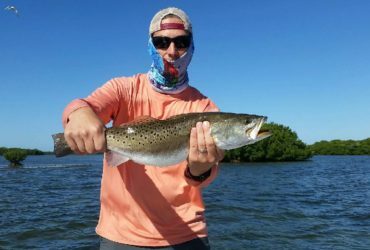 Fort Myers Beach Fishing charters are one of the most popular things to do on the island, and Captain Mark Yimin is an experienced Fort Myers Beach fishing guide with years of successful fishing experience that knows how to find fish Guaranteed! 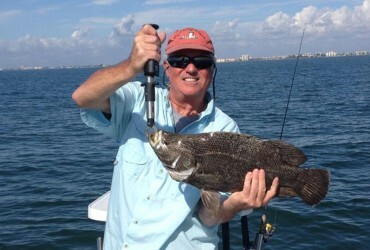 Call today or book online to reserve your private custom fishing charter with Captain Mark Yimin!